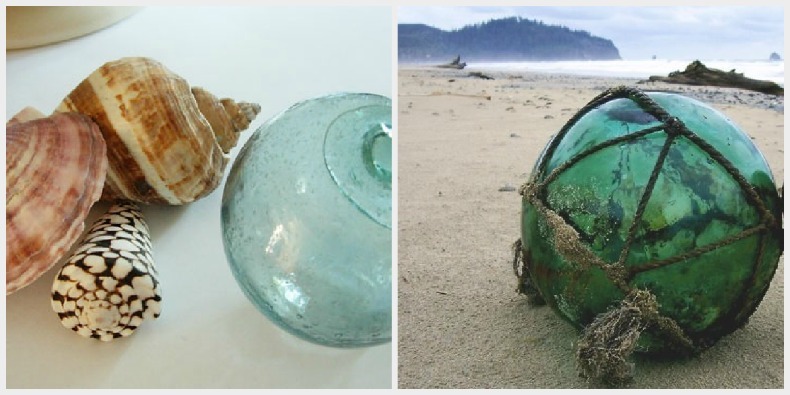 10 Ways to use sea glass floats in your coastal home. 1. Hang your sea glass floats from an out door veranda for a great coastal design. 2. 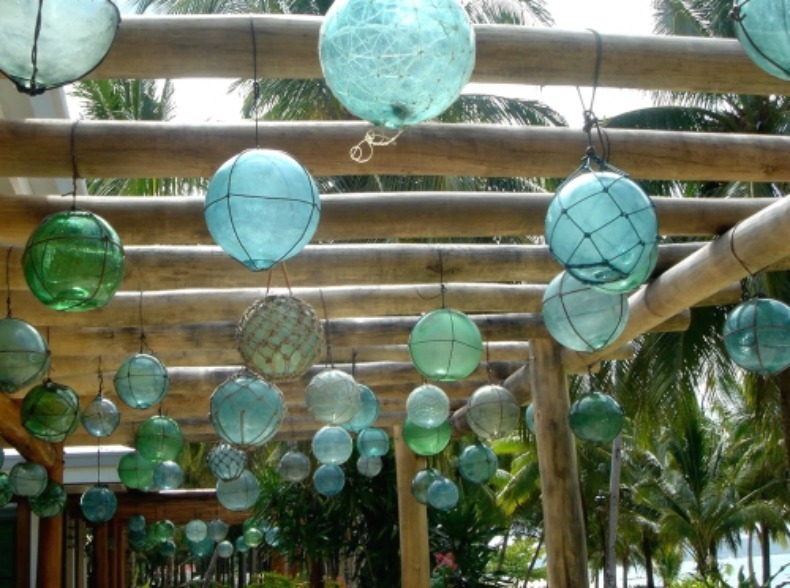 The sea glass floats can be hung outside from trees and posts too. 3. Display a collection of sea glass floats on your coffee table for a touch of the ocean. 4. 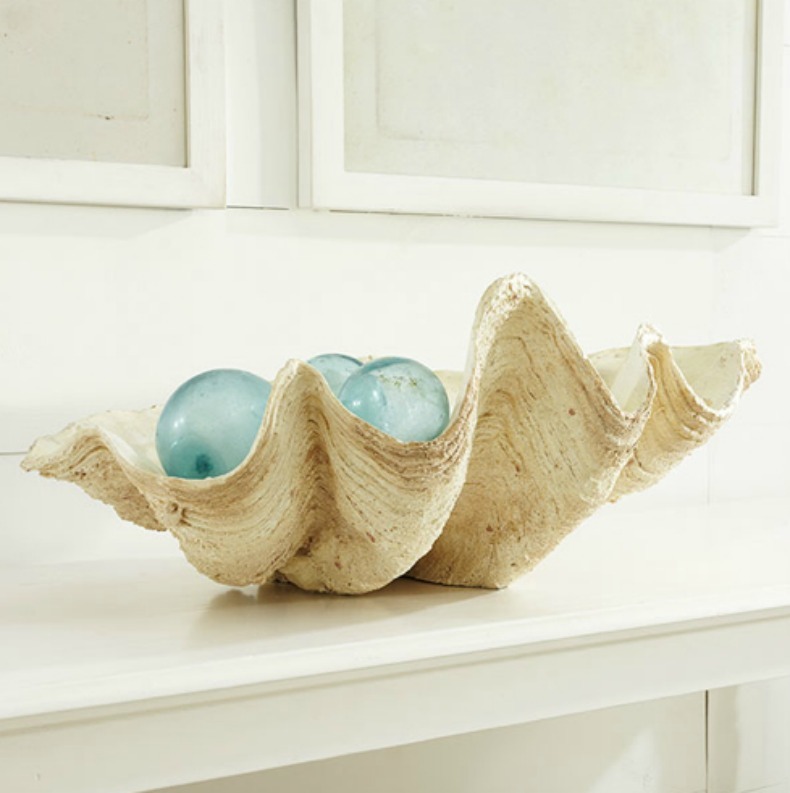 Use a giant clam shell to create a lovely display of your sea glass. 5. 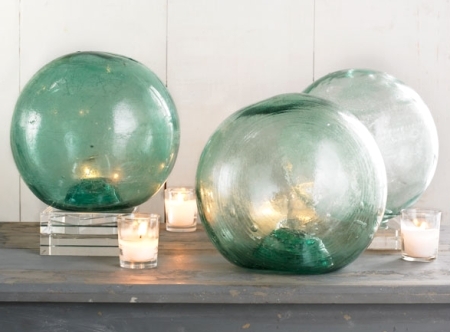 Light up your room by placing candles behind sea glass floats for some coastal ambiance. 6. 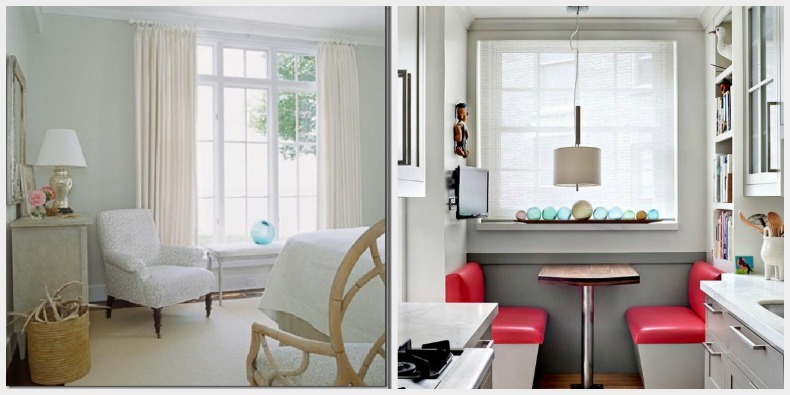 Use sea glass floats as a pop of color and add interest to a coastal room. 7. 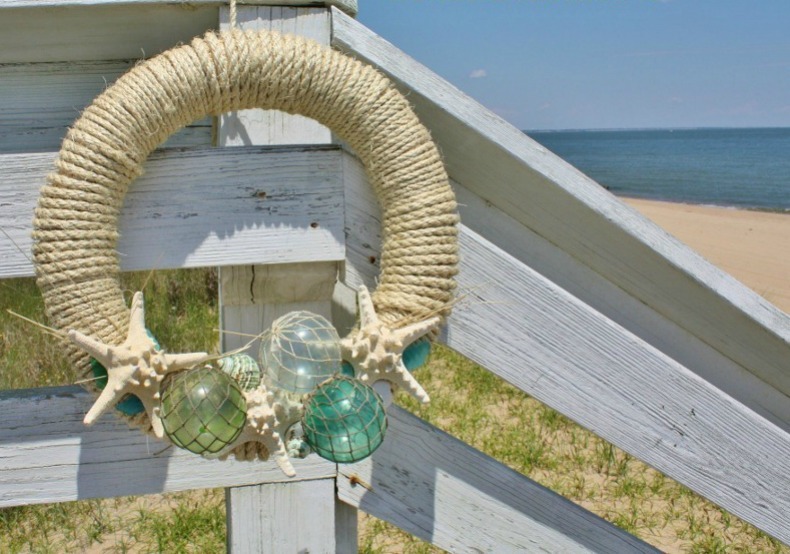 Sea glass floats can be used in your seasonal decor by adding them to a wreath for a coastal summer design. They make great ornaments on your coastal Christmas tree too. 8. Add sea glass floats to your bookshelves for a coastal touch. They can be used as book ends, sit on top a stack of books or all alone for a pop of color. 9. Use sea glass floats as outdoor decor for your entry. 10. 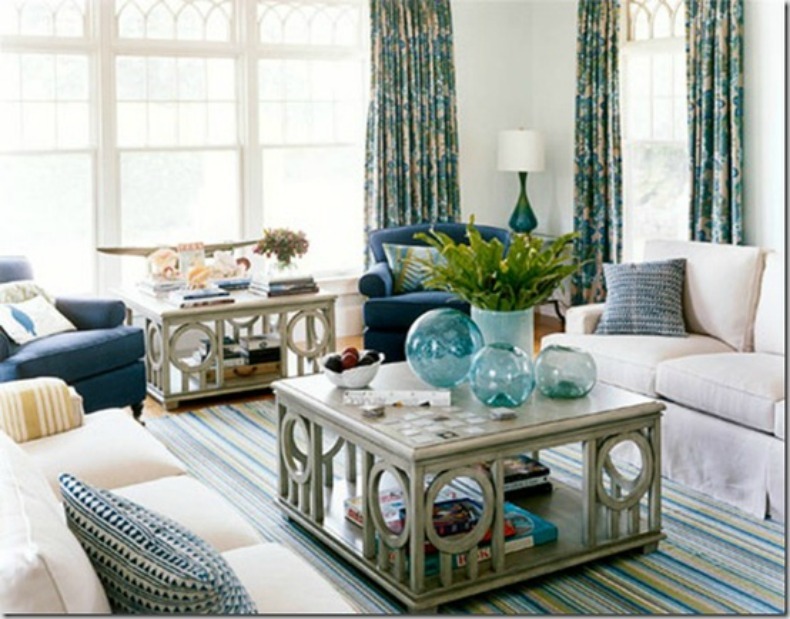 The simplest way to use sea glass floats in your coastal design is to set the large ones next to a piece of furniture .